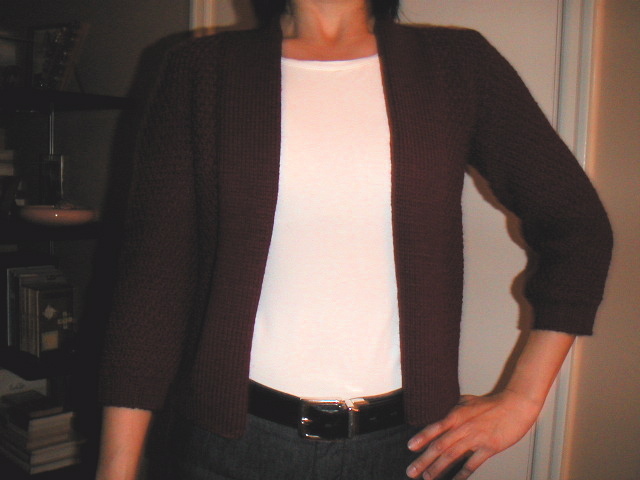 I finished the cardigan a couple of days ago, but decided to actually wear it today. I made the smallest size and it fits great. 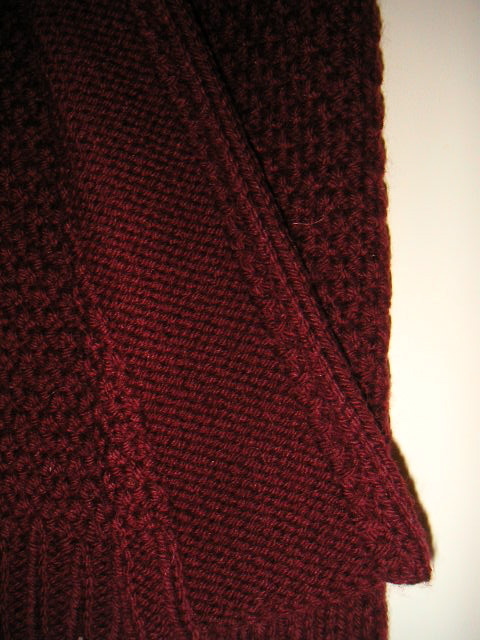 I was worried about the stockinette stitch bands rolling, so I did a two-stitch garter selvage. Instead of the edges rolling, the selvage just folds over, as you can see in the photo on the far right. The color of the sweater showed up differently in all three photos, but the truest one is the close up of the band. It's a very purple-red even though it's called garnet. Your sweater looks nicer than the one in the pattern! How did you do the selvedge stitches? I just looked it up--been knitting for years and never heard of it but I love to add to my repertoire!--and it seems to be just adding a border. So did you just do a border of garter stitches on this sweater to keep it from rolling? Please share how you did this! 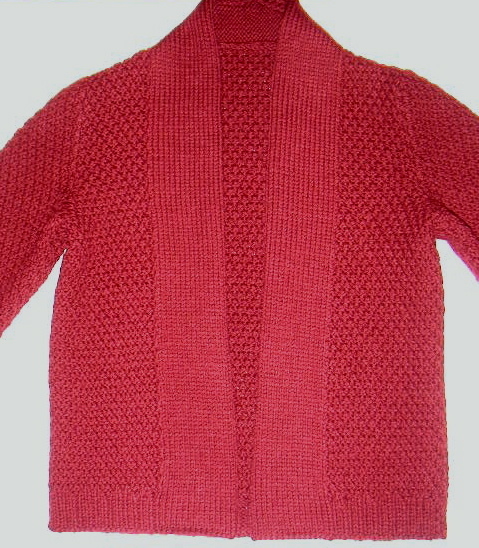 I am finished with the back of the sweater and starting the front. Just a note to thankyou for writing about the garter selvage; I took your idea and did it too--and am SO glad I did. Finished the sweater on Saturday, blocked it, and due to the selvage the front doesn't fold or flop. Looks impeccable. I just wish the shoulders looked as crisp, but you can't have everything!